Yes I'm talking about the drunken high. The only mallu connection I probably have is that I love my drink and enjoy it. No sir, no mocktails and wine for me. Although I do enjoy wine along side a late night movie, I any day prefer rum over any other drink. Old monk with coke and lots of ice. I could kill for this combo. Cal turns out to be a Old monk loyalist too and the first time we met, we drank five larges each. I do not shy away from alcohol. Its not like I drink and fall on the streets everyday. I drink occasionally and I love it. Its a welcome break for me and I do not drink to get high and forget my sorrows. I have no sorrows. I drink to relax and I know how much I can handle. Cal has no problems with me drinking either. Its a win win situation for him, because now he does not have to depend on his boys to go out for a drink. His wife enjoys the same drink as him. What more can he ask for? Alcohol is not a taboo and is definitely not an attribute of the rich. I know so many people who think that drinking costs a lot of money and only the high class can afford it. And then, there are those set of people who think that if you drink you must have a problem. If your relationship ends, then you must drink. If you are going through some serious issues at home, then you must drink. If you want to forget your past, then you must drink. What nonsense. What about drinking just for the sake of drinking? I drink to relax and unwind, what's the harm in that. 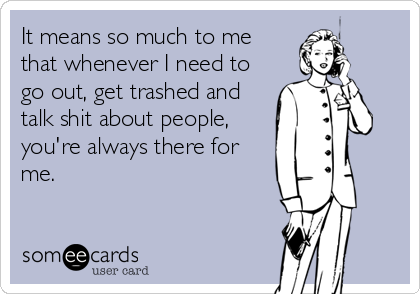 And the other set of people that I cannot tolerate are those who cannot handle their drinks. Guys and girls alike. Those who say "I'm gonna drink like a fish tonight", more often than not end up puking after the first beer. And then we have those delicate beauties who trip on their heels after a breezer. I love watching these specimens. The best kind that I like to watch are those who cannot handle their high. I have some friends who laugh non-stop when they get high. Laugh and laugh and laugh, until you choke and puke. Then there are people who get down the negative trip after a few drinks. "Why did he leave me yaar? ", "Why doesn't she say yes to me macha? ", "Why can't he understand?" etc etc. I mean why can't people contemplate on these things when sober. 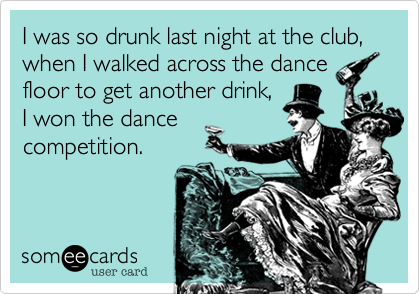 Then a few others I know, start singing and dancing non-stop. At the top of their voice. I mean I don't mind the dancing as much as the singing. At times it sounds like Honey Singh has been washing himself in the machine. Then comes the most dangerous kind. Those who suddenly grow balls and become a brave heart after a few sips. These people whip out their phones and more often than not call up their ex. Or an enemy. Phew! Hulk alert, everyone. Drinking always gives a high, but the right amount gives a happy tingling sensation. And that's where I stop. I can walk in a straight line when drunk and talk sense just like I do when I'm sober. I can handle my high beautifully and do not need someone to help me down the stairs or into the car. I am very aware of with whom I am and what is happening. Still, I only prefer to drink in the company of my husband these days. There can be other people too, but my husband has to be there. Its a comfort factor. I have had some friends who get so high that they end up in bed with some random strangers. No, it does not happen only in movies. I have seen it happening in real life too. Its freaky as hell. I mean how can you not know what is happening to your body just because you are under the influence of alcohol? I fail to get an answer to this. I've never had any problems with people who drink. Or smoke. Or dope. As long as it doesn't affect me I am fine with it. As long as they keep their high to themselves, I'd make excellent company. I've always believed in this, some people can stoop really low when they get high. I like Bacardi too, but prefer Old monk anyway. I have puked twice. The first time I tired Vodka and this new year's ever. Mostly due to bad food and mixed alcohol. I know! The no hangover part is the best. hahaha.. i too have these frnds who suddenly develop balls after getting drunk and call me to 'confess' their feelings and stuffs at midnight... duh! 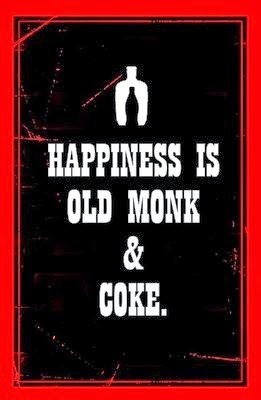 and old monk it is, anyday ! I usually CRY my heart out for silliest things like " you did not make me coffee that day " or i do extremely FUN things.. I'd be interested to know who told you that you behaved soberly and coherently after 5 rums. Someone else who had had 5 rums? Or someone stone cold sober. My go to drink is Scotch, but nowadays I only have a drink at weekends and not many at all. I am totally anti drug use of any kind. As for smokers, I think they are fools to continue. I quit, they can too. Hahaha interesting question. The fact that I got home in one piece and sat through a talking session with my parents without them suspecting, makes me believe so! I eat a lot and drink loads of water while drinking. It helps me a lot. I agree, smokers are fools. I cannot handle any aerated drinks -pepsi, coke anything. So no beer also for me. I dont drink rum also. Mine is a red wine family. We are wine drinkers. Sometimes I drink breezers as well and thats it. My entire family including all the women drink, but none of them have been abusive or 'diffrent' as they all are seasoned drinkers and they handle it well. When we all get together we drink and play antakshari and go to sleep. That's an awesome family you have! My family would gape with jaws down at the mention of a drink. Red wine is super fun too. It leaves me with a slight buzz that I absolutely love! i haven't tried alcohol but it has more to do with my severely acidic tummy...!!! so i don't gulp down aerated drinks or even coffee for that matter....! Everything should be indulged in exactly the right quantity ... too much of something would always ruin the fun. It's hilarious to listen to people who are drink. All their secrets are spoiled like water ;) entertaining read. I belong to a family that doesn't get out of an airport without buying a bottle or two of duty free alcohol. My Dad collects and his all time fav is his Old Monk and Johnnie Walker. If it is dubai airport he makes sure he buys a green fairy. 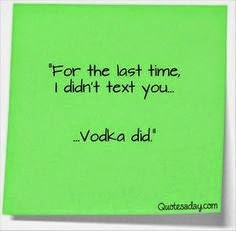 I am not much of an old monk lover than I am a vodka lover. Breezer is plain juice but I do like it still :) I hate beer. And you had 5 large or 5 small? I had a phase with Vodka. I think I drank so much that I got saturated. Now, the smell bothers me. Old monk any day. I like only one beer. King's that is available only in Goa. Oh, that's heaven in every sip. I'd love to drink with you. Come to Bangalore soon. I have become a whiskey girl, all the way :) And I started drinking only last year and I have yet to have any embarrassing incidents. I think it all boils down to whether you are drinking to get a pleasant buzz or to just show off. I'm yet to develop a taste for whiskey. I do not mind it though. Exactly! The people who drink to show off are the best kind of time pass ever!